Architect C. Anjalendran, aided by an army of assistants and students, has been recording Sri Lanka's architectural heritage for almost 30 years. 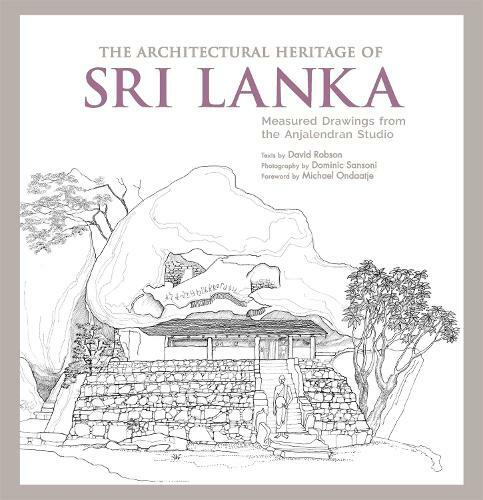 The result is a collection of exquisite measured drawings, all made with ink and pencil on tracing paper - documenting many interesting and often neglected buildings in Sri Lanka. This book features these, along with photographs and insightful text, to highlight a broad cross-section of buildings of many different types and from many periods - from the ancient classical era of Anuradhapura and Polonnaruwa, from medieval times, from the colonial period and from the years after Sri Lanka regained its Independence in 1948. The book continues the work of Barbara Sansoni who started to record ancient buildings of Sri Lanka during the early 1950s. With the help of her husband Ronald Lewcock, her photographer son Dominic Sansoni and her friend Anjalendran, she published her drawings in a book called 'The Architecture of an Island' in 1998.